Nate Berkus And Jeremiah Brent Are Engaged! Sitting on top of the world! 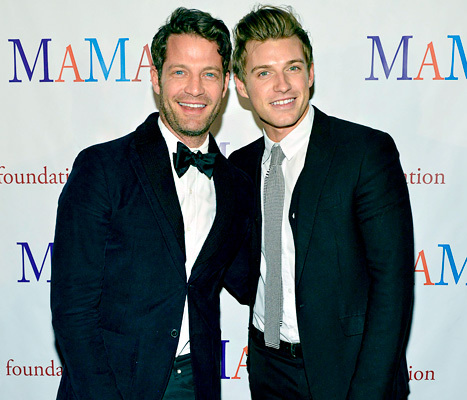 Nate Berkus and boyfriend Jeremiah Brent are officially engaged to be wed. The pair, who have been dating for 8 1/2 months, made it official atop Machu Picchu in Peru on Monday, April 8th and are excited for the next chapter of their lives together. TV personality and interior designer Berkus 41 was the one to pop the question to Brent during their trip to Peru, Berkus. Brent was completely surprised! The couple was originally traveling as part of a shopping trip with One Kings Lane for a designer sale project Berkus is working on for the site. The fashion-forward pair were first linked back in December 2012 after they were spotted “kissing at the sunglass rack in the men’s section,” an eyewitness told Page Six at the time. And after the word was out, the pair began to split their time between New York and Los Angeles (where Brent, Rachel Zoe’s former assistant, is based). Currently, Berkus has his hands full several different projects, including a successful line of home goods at Target, and a book, The Things That Matter, released last October.